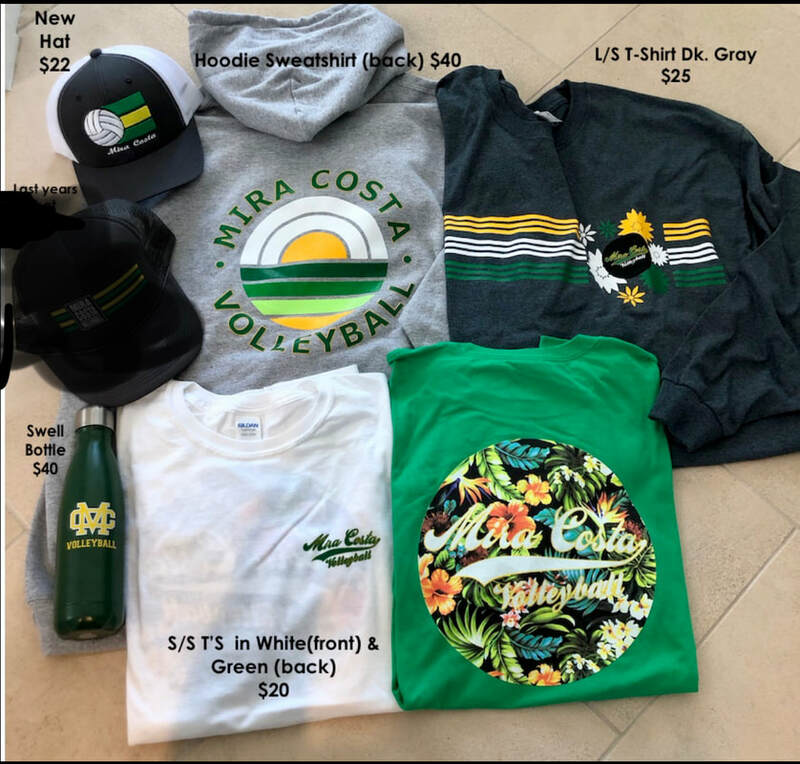 The new 2019 Mira Costa Volleyball gear is here! All items are available for purchase at MCHS home games, or e-mail Andrea Polizzi Seivert and she'll help you get it even sooner! Quantities are limited, so order early for best selection. The highly sought after Sweatsedos are back! Women's sample shown. Click the Order link to see more options. Our alumni dad, Gregg Scott, has set up a link so you can directly order your very own Sweatsedo! 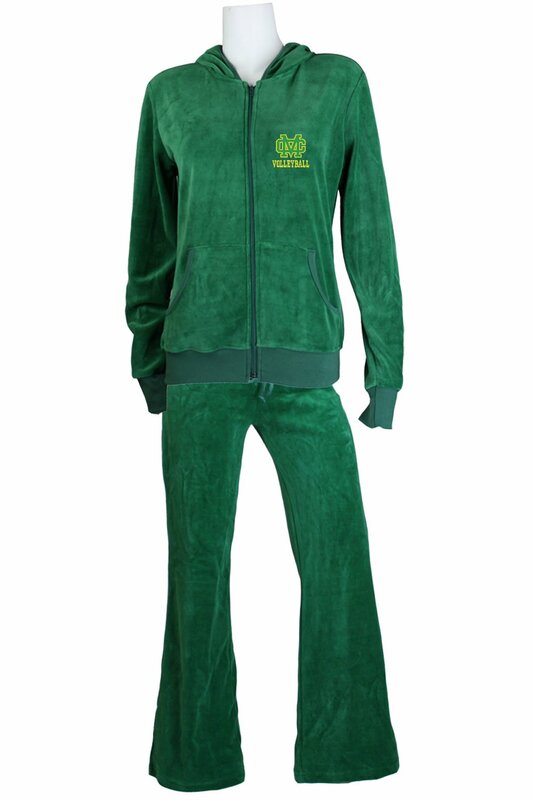 Womens: Green or Black Jackets and Trackpants with or without yellow rhinestones on the sides. *Note that the Mens Sizes Only have the yellow piping. The womens have rhinestones. If a gal wants no rhinestones, she can either request it or order a small size in the mens. **Another new feature this year is that folks can customize their jackets with names, nicknames or monograms! No tax, no shipping. Sweatsedo will collect orders and payments, do customizing for folks that order it, and then bulk ship to us. Cami Wedbush and Andrea Polizzi Seivert will contact you when they arrive!